The Garmin nuvi 3597 LMTHD is not an inexpensive device, so why risk damaging it with a cheap wall charger? When it comes to safely powering devices, Gomadic chargers have always stood alone. We have been in the power accessory business since 2001 and continue to innovate in power circuit design and miniaturization. Our Garmin nuvi 3597 LMTHD Travel Wall Charger is a very powerful (high wattage), very compact (measures around 2.5 inches diagonally with foldable wall plug), and very well made (backed by lifetime warranty) accessory. Top it off with our upgradeable and interchangeable Gomadic TipExchange Technology, and this will most certainly be the last charger you ever buy. Advanced state-of-the-art internal circuitry protects the Garmin nuvi 3597 LMTHD from power surges, overcharging, and short-circuiting, to significantly extend the internal battery lifecycle. Power Sleep"" feature reduces vampire power draw 99%. Charger will consume less than 0.1W of power when in ""dormant state"" (e.g. not connected to the Garmin nuvi 3597 LMTHD). 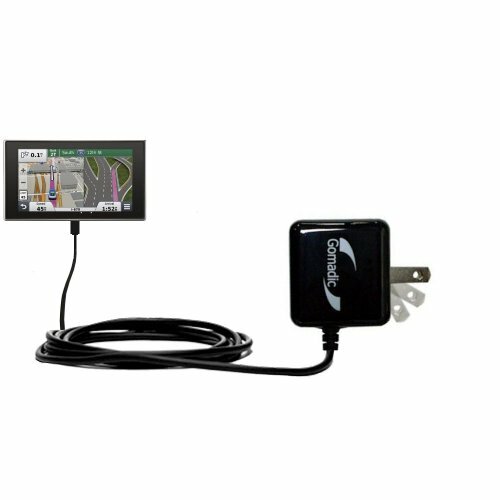 Charger works on power voltage levels worldwide by supporting a wide input range of 100-240v AC / 50-60 Hz.